- Last night's WWE RAW featured The B Team hosting a Memorial Day Tag Team BBQ to try and convince the other red brand teams to let them get the next title shot from RAW Tag Team Champions Bray Wyatt & Matt Hardy. That segment ended in a food fight but next week's RAW will feature a Battle Royal to determine new #1 contenders for a match with Wyatt & Hardy at WWE Money In the Bank. Below is post-show video of Mike Rome interviewing The Revival backstage. Dash Wilder says they finally get the opportunity that they have deserved for more than a year now. Dash goes on and says they are tag team royalty and the best tag team the company has ever seen, but they have yet to receive their opportunity. Dash doesn't care if it's a food fight or a Battle Royal, they just want their shot and when they get it, it will be a piece of cake. Scott Dawson rants about how they have been reduced to food fights after all they have done. Dawson goes on and says there's not a tag team on the roster that can hang with them and they will get a sweet taste of victory when the Battle Royal comes. 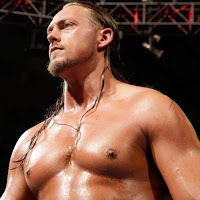 - It looks like Big Cass has been cleared to wrestle as he worked last night's WWE live event in Fayetteville, North Carolina. Cass teamed with The Miz for a loss to Daniel Bryan and Tye Dillinger. Cass worked a normal match and took the pin from Bryan for the finish. As noted, Cass is scheduled to be on the road with WWE this week and will likely be on tonight's SmackDown.